Illamasqua make the point that the image, created by Alex Box, is about colour ON skin and not colour OF skin. My additional thoughts are that there was no need for the colour to be black – Illamasqua could have used any colour to make the artistic point, but on the other hand, to rule out black is to restrict creativity – also wrong. I think the ad is very creative and quite stunningly beautiful. Unfortunately, the World has become PCI to the point of near paralysis. I’m going to presume the white faced model causes no offense? No, of course not. And typical of the idiots who find the ad offensive, they can only focus on one aspect of the ad, rather than the whole image thereby missing the point entirely. @britbeautyblog I don’t think it’s racist, just tasteless. Personally I don’t like the add. @britbeautyblog I actually do find them offensive and I can’t believe they couldn’t have foreseen the furore it would cause. 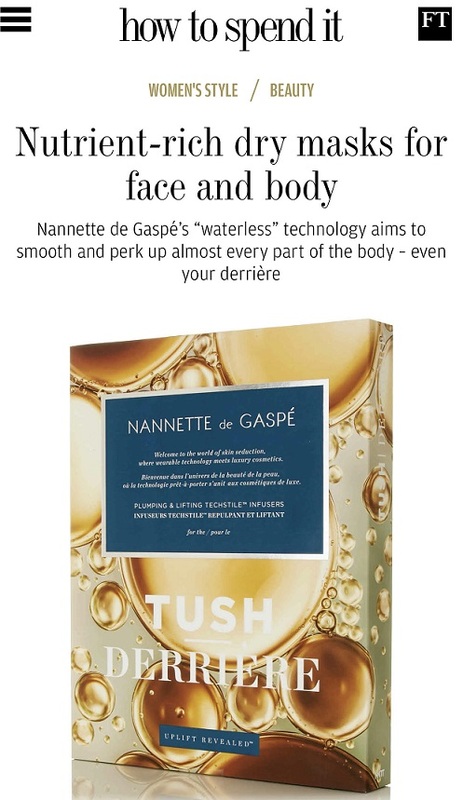 @britbeautyblog Jeez what a load of nonsense. Some people make an effort to find things offensive. Its MAKE UP FOR GODS SAKE! Lovely to be called an idiot for having an opinion and i’m mixed race. And btw whiteface doesn’t have the same history behind it as blackface. Hence why many (me included) find it offensive. The problem is with the association between ‘blackface’ and racism. This – ‘blackface’ has very strong connections with a really horrible time in history, it’s a symbol of mockery and oppression and a reminder of disgusting racism that i like to think we’ve moved on from. Of course people don’t get offended at whiteface, because it was never used as a tool for oppression and insult. It’s not a matter of whether illa intended to be offensive or not (i’m sure they weren’t), it’s that they are using an image that has disgusting connotations when they should know better. It’s not about being overly PC, it’s not about being reactionary, it’s about being respectful. In the first photo alone, I do think it looks bad! However in the context of the ad and seeing the two images together I don’t see what the fuss is about. Like the above person said, I doubt the white one has caused much controversy, which I must admit, irks me somewhat. Surely either the whole thing is offensive or it’s not. Personally I think this image is amazing and the model has such a beautiful face structure. If I had not read this post I would not even have associated it with the ‘blackface’ movement. I think the images are stunning. I also don’t think it’s it particularly offensive as I view purely as make up rather than any statement on skin colour. That said, the fact that people are upset makes it more complicated and I suppose why I can see why it they view it the way they do. As another commenter said, I@m sure Illamasqua new all too well it would raise some controversy and that they went ahead with it anyway for that reason. I don’t think I can’t explain it all that well, but in short, I don’t think its at all offensive, it’s not about black skin and white skin, its about colour full stop, but I can see why people are offended and think they are perfectly within their rights to be offended! People just don’t know what to make with their lives anymore. And they have no sense of aesthetics and art whatsoever. Go Illamasqua! The mere fact that they feel free to put out these kind of ads without a care show that they do not have malice, especially the kind that can be associated with racism! Christ almighty I really do believe some people sit around waiting for something to offend them. I’m a woman of colour and I would never have looked at this ad and thought black face. To me, I think it’s artistic and absolutely gorgeous both black and white. Everyone is of course entitled to their own opinion but neither image brings race to mind for me and it irks me that some people use any opportunity to use the race card. I think it’s a little ridiculous for Illamasqua to pretend there are no racial connotations here… they should just be upfront with the reasons for their black-face ‘black and white minstrels’ inspiration, as it’s a brand that always tackles race issues so well by addressing rather than ignoring them. “It’s not about skin colour” doesn’t really cut it. Still, definitely not the most racist ad I’ve seen (coca cola still wins this award). Illamasqua certainly know how to get us talking about them! It’s a provocative advert, but there’s a duality to the image – I don’t think the message is that either is lesser than the other. I’d like to think that if a make-up company’s campaign could cause this much discussion about race, then we could make a difference in the ‘real’ world, where it actually is a serious problem, not just a question of feeling offended by an advert. Illamasqua is one of those companies whose cosmetics I adore, but I CANNOT stand their ad campaigns. They seem like they are trying too hard to be edgy, and just come off overdone. I’m ridiculously white, and they make one of the very few foundations that works for me, which is why I buy from them. I also like their lipsticks, although they tend to be a bit dry. I would never buy from them based on their ads, and that makes me a bit sad. The model looks gorgeous. 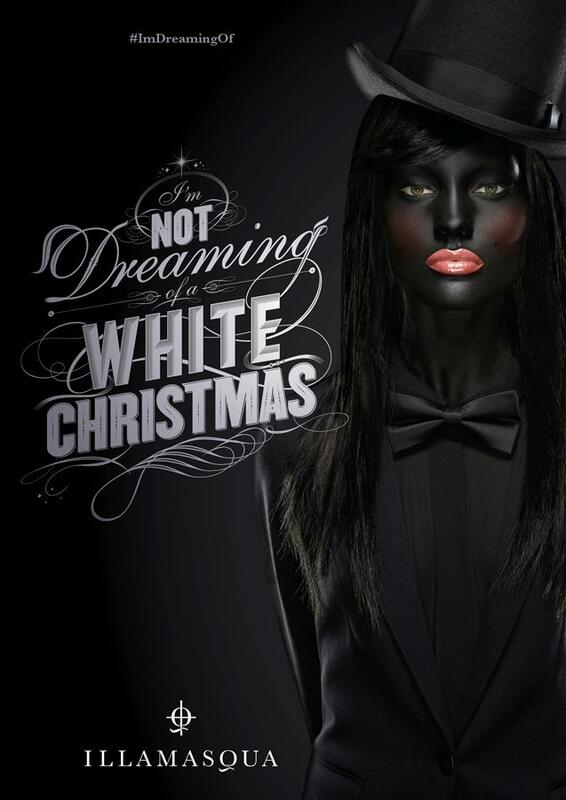 But what were they going for with “I’m not dreaming of a white Christmas”? Something can be creative and beautifully done while still being racist and/or in bad taste. The issue isn’t only with the chosen color, but the styling as well. Search wikipedia for blackface, and you’ll find the outfit is also part of the stereotype–top hat, jauntily askew, bow tie, and overemphasized lips. Note that it’s the same model– they seem to have overemphasized the mouth in the black picture, which undermines their argument that (1) these mirror each other, (2) that there is no conscious or subconscious allusion to the stereotype, or (3) that they painted a color, not a race. I’ve also heard that this is an American issue, but that ignores the fact that both England and Australia also had blackface, and in some instances continued doing so far longer than the U.S. Listen, I have no reason to believe that the people behind Illamasqua are racist. We don’t even need to label Illamasqua racist to find that this particular ad campaign is in poor taste and has unfortunate racist overtones. Now that this has been pointed out to them, however, they should acknowledge that,whatever their intention, they stepped in it. Fighting about intention and whether they are racist or not kind of misses the point. 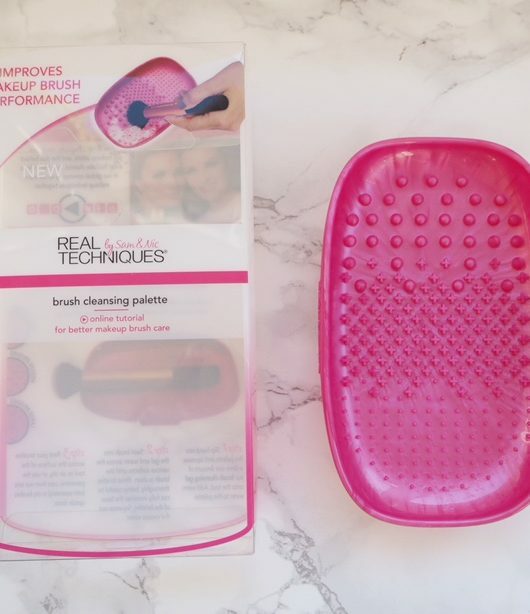 Put differently, it’s like if you tell someone there’s dirt on their face and they yell “I’m not dirty!” Well, that may be, but you somehow got dirt on your face, and we can see it. I just love that last paragraph – I might have to steal that! Lots of Leni Riefenstahl lite going on here. Aesthetics are not a justification for cruel behaviour. Quite apart from anything else, if you are one of the few brands that have a decent offering for ethnic minority customers, it’s blindingly stupid to intentionally use imagery in your advertising that risks offending that part of your customer base. Worse still, according to Jezebel, Illamasqua thought about pulling the ad and then issued a pouty statement refusing to. Their justification of colour ‘on’ rather than colour ‘of’ is meaningless – blackface IS colour ‘on’. This is the same sort of fashion/beauty space-cadetry and complete detachment from reality that inspired the Mac/Rodarte Ciudad Juarez debacle. Well this certainly has sparked some debate. Personally I LOVE Illamasqua and in my eyes they can do no wrong. They are make up ARTists and to me this is nothing more than a beautiful expression of colour. The opposite of white is black, the point of make up is to create a statement. There is no way, in any philosophical debate, that you can separate art from politics.I love the advert. It is striking and shows beauty at both extremes of the colour (not human) spectrum. But if the point was about colour ‘on’, why not a red face? Or a Blue face? 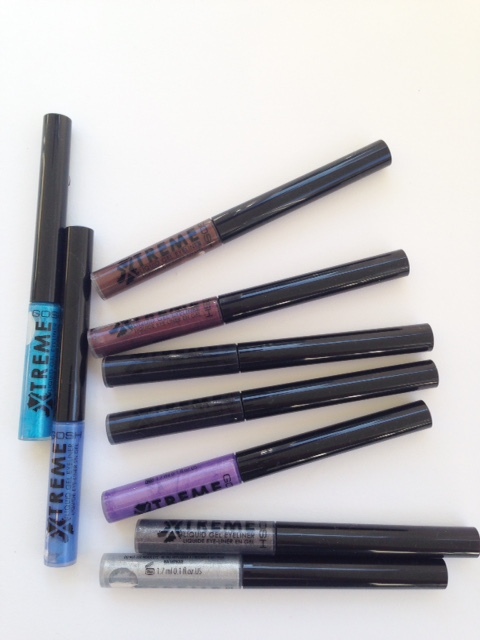 or have the black side with their gorgeous teal lipstick (I forget the name). This campaign is lacking in truly thinking outside the box, and I do understand the controversy. But, if you are going to start censoring art because of ‘connotation’ then lets ban DH Lawrence for his links, and even Walt Disney. I’m torn. I love the company and everything they have produced. I even love these images but I do understand why some people would find this offensive. I find it interesting that painting a person black is racist, but painting a person white is not considered equally so. If the white picture is not racist then how can the black be? Would the Asian population be in uproar if one was yellow? Would the indian population be offended if one were red? I doubt it. The white population is not offended that one is white. However, I am offended that anyone would find offense or racist undertones in one image and yet not in the other. Viewing the black image alone is taking it out of context and so the blackface implications can emerge. 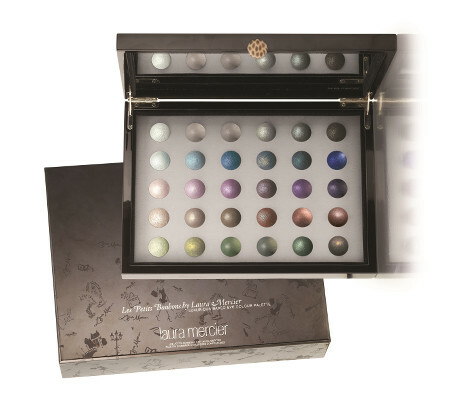 Viewing it with the white version; however, brings clarity to what Illamasqua was attempting. Personally, I find the images quite beautiful and absolutely nothing racist in them. The only racist connotations are those that are in the mind of the viewer. We can find something offensive in anything if we look hard enough–even when it isn’t really there. The freedom to express our varying opinions is one of the greatest we have, but censorship because of a supposed slight is quite a different matter. I personally think the ad looks great!! People these days are really too quick in thinking everything is racist…I mean, it’s come to a point of being rediculous!! !All this ” they are making a racist add” talk is just soooo goody-two- shoes in my eyes. Had they used a real dark skinned model I could understand a little bit but…come on!!!! It goes through me how quick people are to use the ‘r’ word, just because something is black doesn’t make it racist, surely if that was the case then if something is white wouldn’t that be racist too? Racism is discrimination directed against someone of a different race based on a prejudice; I’m failing to see any discrimination in this ad?! And again, if the ‘blackface’ is racist, is the ‘whiteface’ not too? I understand the connotations of racism that could emerge when the black image is seen alone, taking it out of context, but looking at the whole picture, it’s clear the intention was far from that. Would they have complained if a black model was used instead in this ad? Wearing both the black and the white makeup. Well they might have just a little bit, but I think certainly not as strongly as this. In fact I think they should have included a black model with the same makeup, each model wearing both black and white, then no one will have a right to complain! Really, people are too quick to see racism when there is no need for any. It is clear this ad was never intended as a blackface image (and all the negative connotations that go with it), but purely as a play in colours. If we can’t begin to distance ourselves from shameful history, soon there will be nothing left for us to do without some sort of guilt. To all those people commenting on the point that the white face is not being seen as offensive, well that’s because its imagery is not steeped in racial prejudism like the black face. Just Google Minstrel Show and see the likeness to the above image. 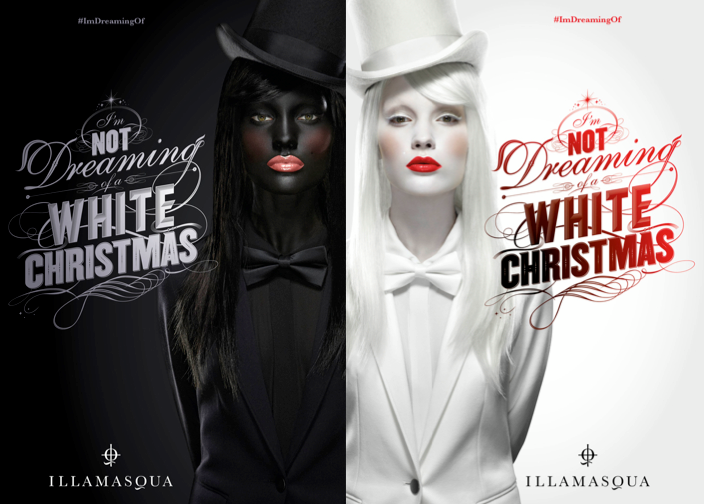 While Illamasqua may not be racist BUT they knew exactly what they were doing with this poster, for me that alone is worth criticism! For those with short-term understanding of history, white people were never oppressed by black people, rather the other way around. So yes it is offensive, whether both images are seen together or not! Sorry, it’s absolutely positively not a racist message. First of all, its an artistic expression of a mood or philosophy, creative direction. I’ll be honest as a make up ad, its hardly “that” provocative from an aesthetic point of view and for me doesn’t really tick the provocative category or the beautiful category. The Nars campaigns always speak to me infinitely more than Illamasqua, but that’s just me. and one more thing that perplexes me, why are all the comments that identify strong issues with the ad being racially offensive ? Shouldn’t we have courage of our convictions on such a contentious issue……. ?